We've been busy working on making props and set pieces for Beauty and the Beast. I've worked on making headpieces for the enchanted forks, knives, and spoons, pitchforks for the angry villagers, and lots of lots of cardstock book spines to create the look of a library in the beast's castle. 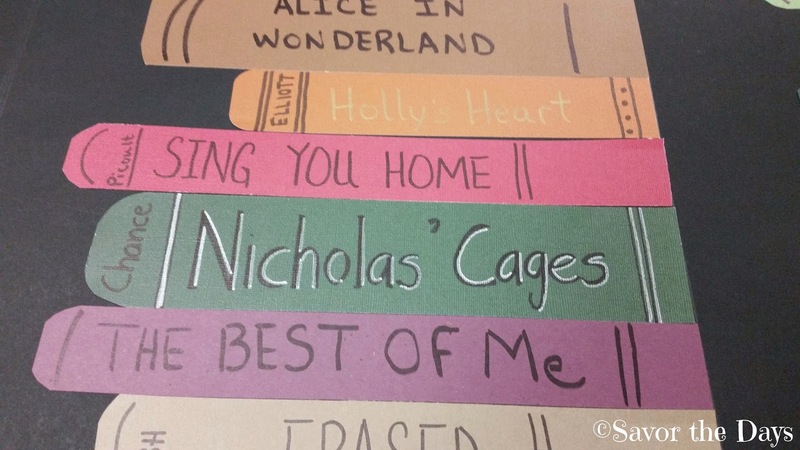 We had the kids submit some of their favorite book titles to be included on the book spines that we made. Nicholas was so excited to see the four books he submitted. 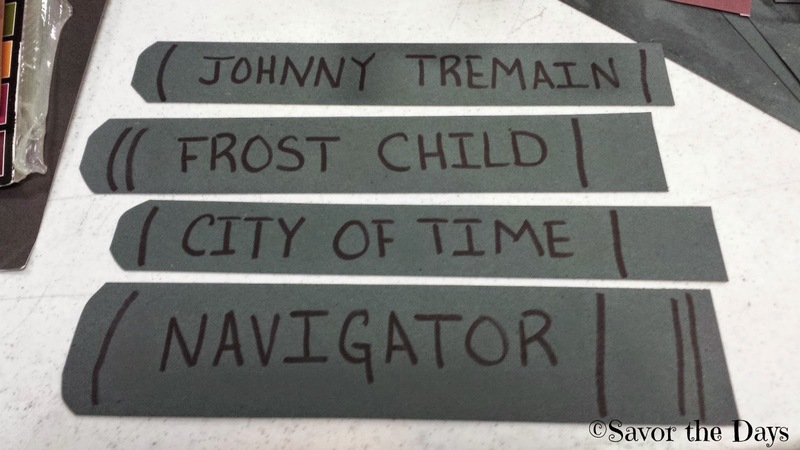 We also included books that incorporated the names of each of the cast members. I didn't not work in this stage of the book cases but I did find Nicholas' book, "Nicholas' Cages" - a take on name of the actor Nicholas Cage. So cute! I haven't found Rachel's book yet. There are tons of these "books" to look through but I'll find it.